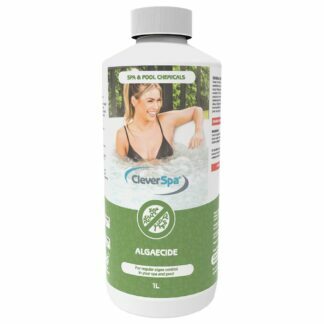 Rapid dissolving granules to reduce pH levels in your spa and pool. 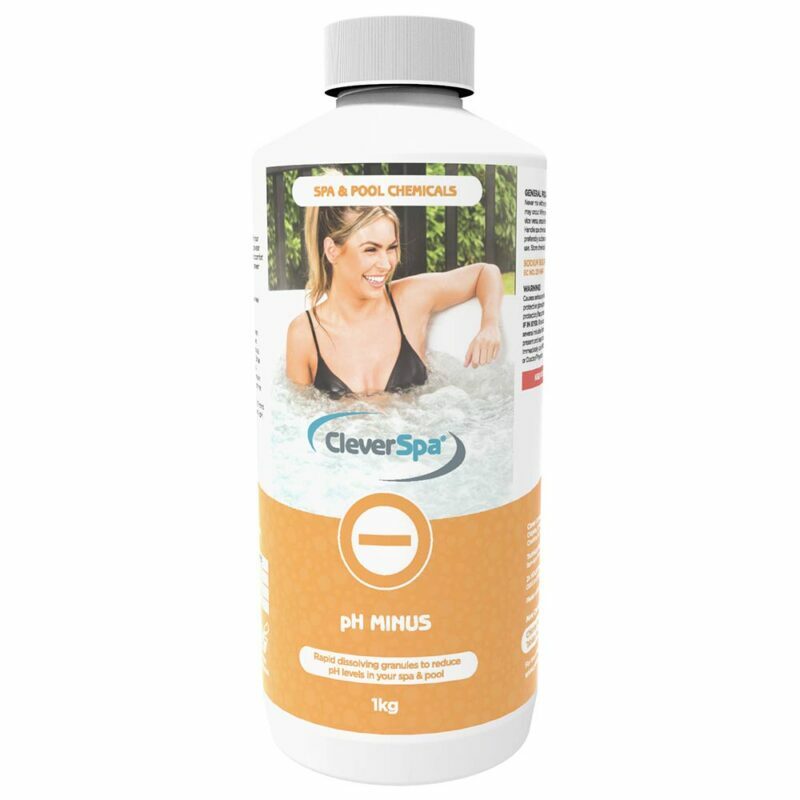 CleverSpa® pH Minus is used to reduce the pH of your spa water. 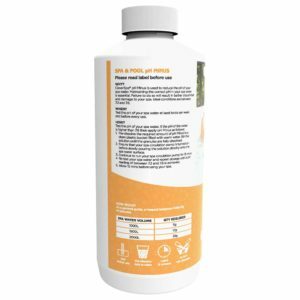 Maintaining the correct pH in your spa water is essential. Failure to do so will result in bather discomfort and damage to your spa. Ideal conditions are between 7.2 and 7.6. 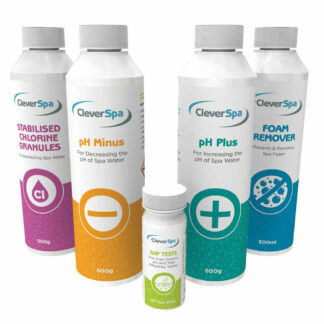 How often do I need to use CleverSpa® pH Minus? 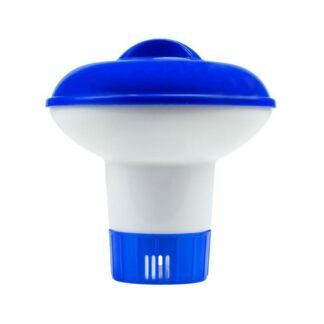 Test the pH of your spa water at least twice per week and before every use. 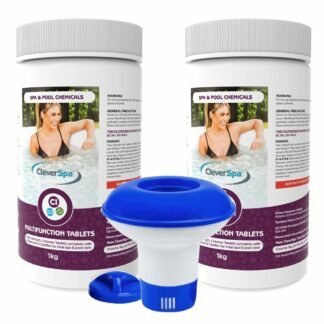 How much CleverSpa® pH Minus do I need to use? As a general guide, a heaped teaspoon holds 8g of granules. How do I use CleverSpa® pH Minus? 1. Pre-dissolve the required amount of CleverSpa® pH Minus in a clean plastic bucket filled with warm water. Stir the solution until the granules are fully dissolved. 2. 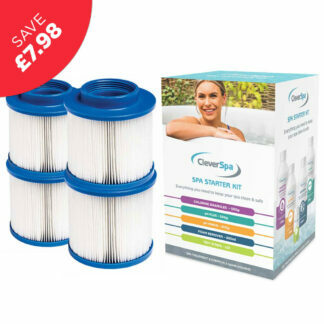 Ensure that your spa circulation pump is turned on before slowly pouring the solution directly onto the spa water surface. 3. Continue to run your spa circulation pump for 15 minutes. 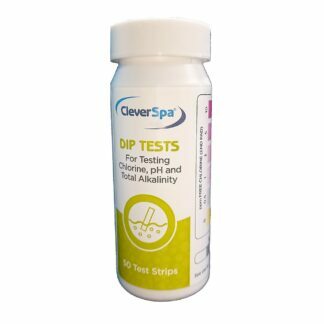 4 Re-test your spa water and repeat dosage until a pH reading of between 7.2 and 7.6 is achieved. 5. Allow 15 minutes before using your spa. • Pre-dissolve and add to water. • Leave for 15 minutes. • Do not mix chemicals. 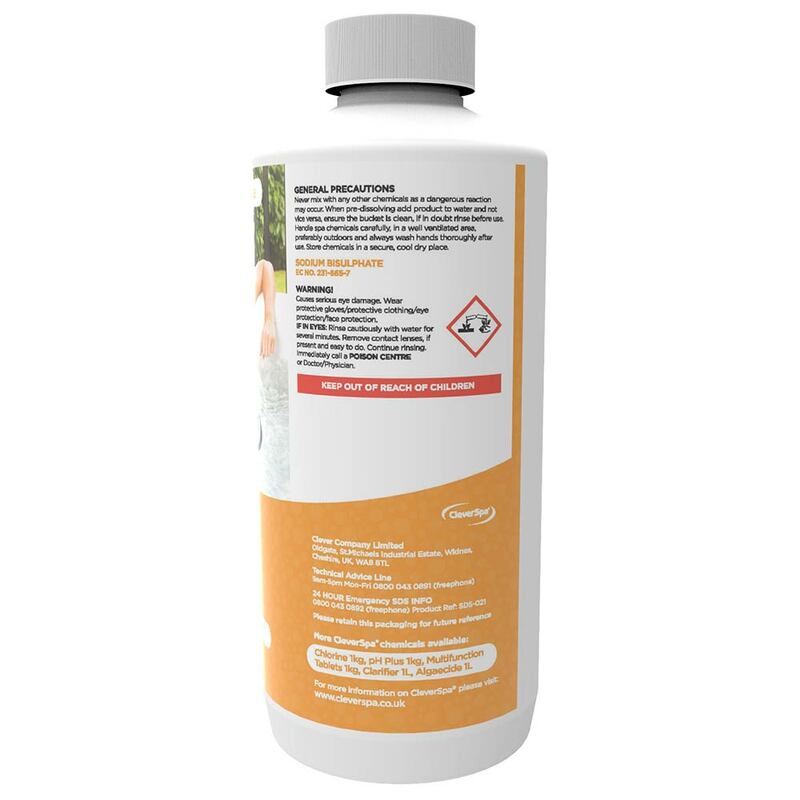 Never mix with any other chemicals as a dangerous reaction may occur. 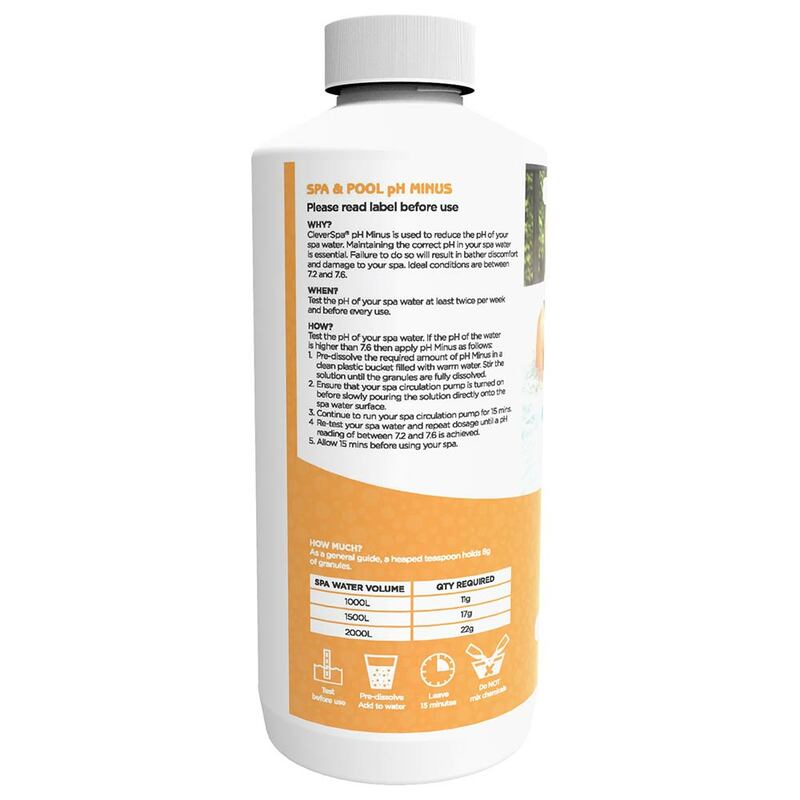 When pre-dissolving add product to water and not vice versa, ensure the bucket is clean, if in doubt rinse before use. Handle spa chemicals carefully, in a well ventilated area, preferably outdoors and always wash hands thoroughly after use. 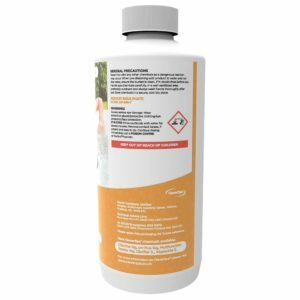 Store chemicals in a secure, cool dry place. Causes serious eye damage. Wear protective gloves/protective clothing/eye protection/face protection. IF IN EYES: Rinse cautiously with water for several minutes. Remove contact lenses, if present and easy to do. Continue rinsing. Immediately call a POISON CENTRE or Doctor/Physician.